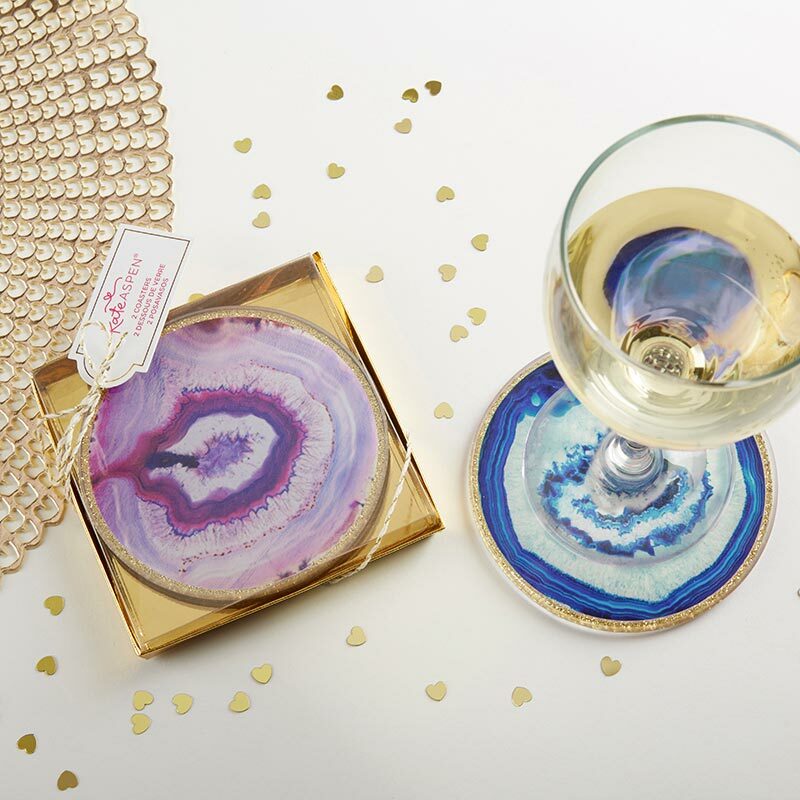 Kate Aspen's purple Geode Glass Coasters are the perfect gift or party favor for every occasion. 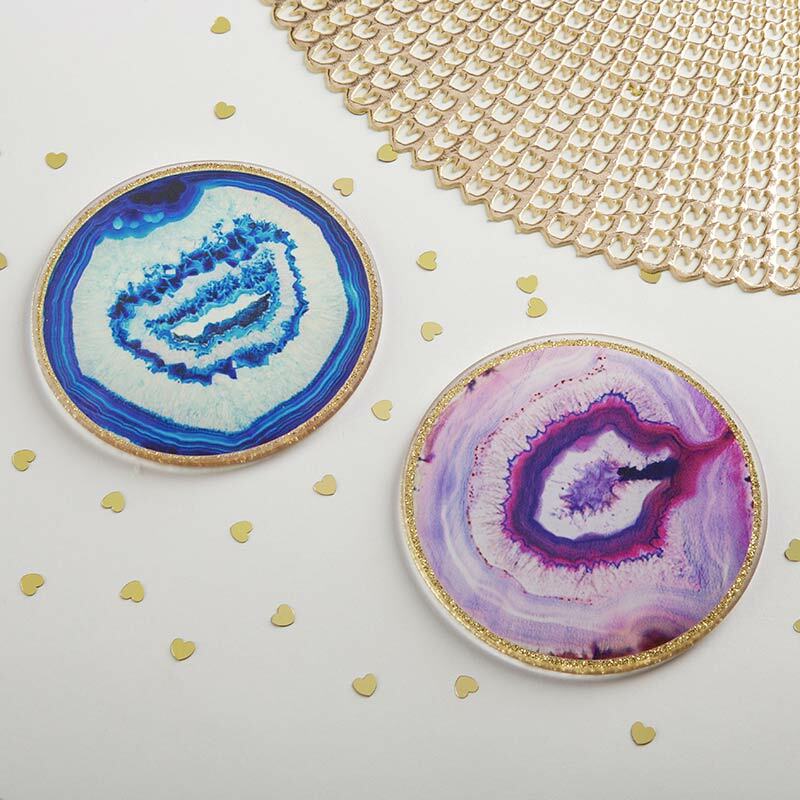 These unique glass coasters are wonderful natural decor pieces your guests are sure to treasure! 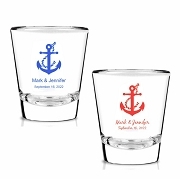 Set of 2 circle shaped glass coasters. 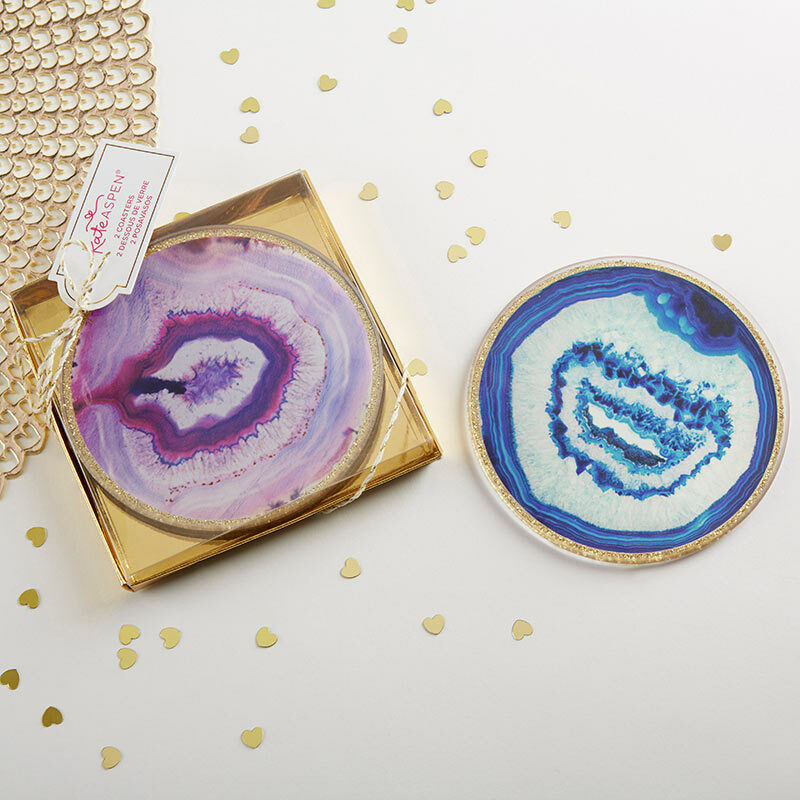 One faux purple agate print and one faux blue agate print coaster with gold glitter border all along the edge. 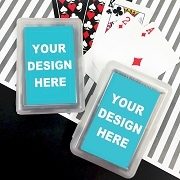 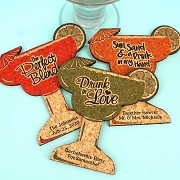 Coaster measures: 4" w x 4" h x 0.1" d.
Packaged product measures 4" w x 4" h x 0.6" d.